Today's outfit post features the second outfit I wore during filming with Fay of FayBurmingham, for our London Style Lookbook collab videos. You can see part one here, or part two here. This was my daytime outfit for part one on Fay's channel. 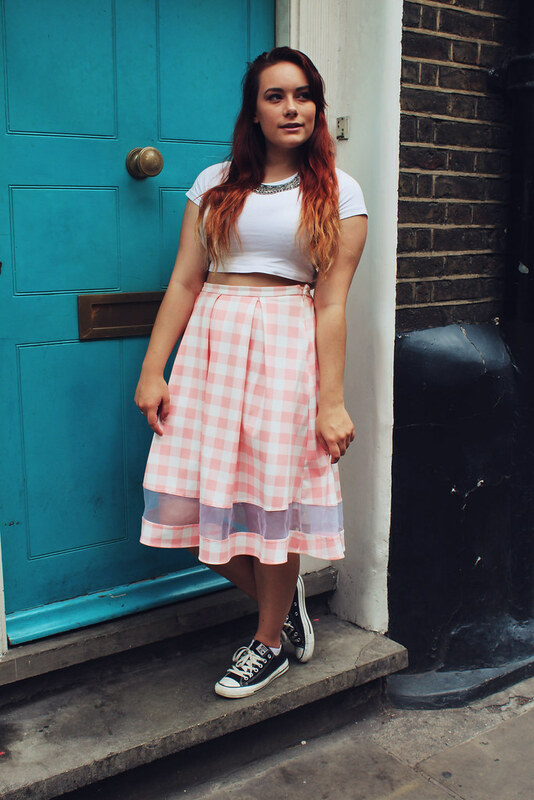 I decided to wear a midi skirt, in pastel gingham combining two of my favourite current trends: the mid length and the pastel colours. 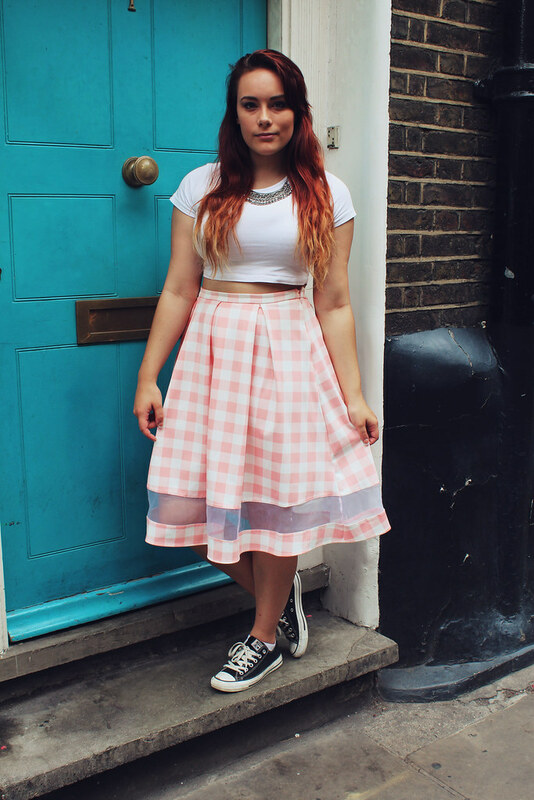 I teamed it with Converse, for comfort whilst walking round London and a simple white crop top. It was nice and sunny which meant I could elude a jacket and simply plump for a tribal silver necklace to finish the look. 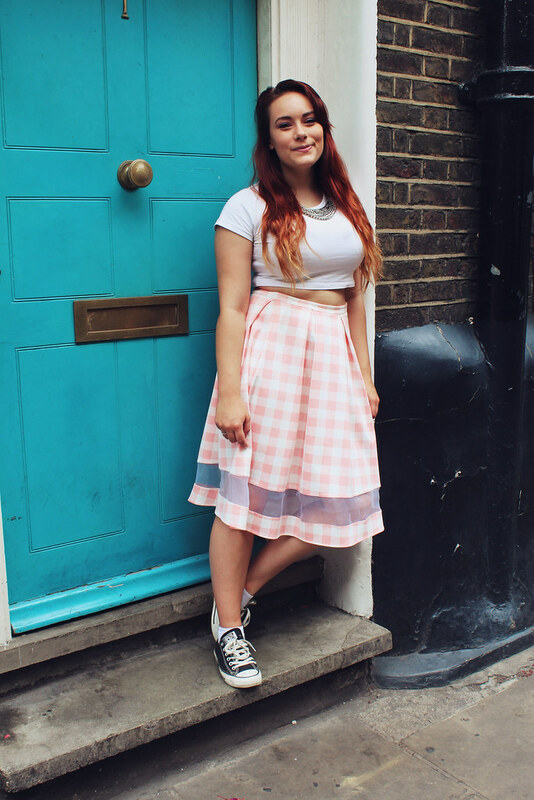 I'd like to thank Fay, for taking these cute photos, I love how the pink in my skirt contrasts with the pretty blue door. I had such a great time filming with Fay, and you should definitely check out both our videos, channels and subscribe if you like what you see!